The parishioners, mentors, friends and family of Father Jonathan, in attendance at Cathedral of the Sacred Heart for his Ordination, witnessed the writing of history. 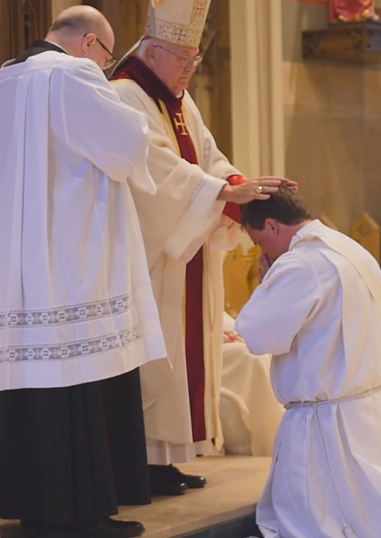 A new priest has been named for God's Church and for His people. Father Jonathan will be in our prayers as he begins his first assignment as the Associate Pastor of the Cathedral/St. Casimir Cluster. Praise be to God for Father Jonathan. Click here to view the highlights from Father Jonathan Fasnacht's ordination on June 19th, 2015 in a video from the Diocese of Winona.